by a team of 60 people. 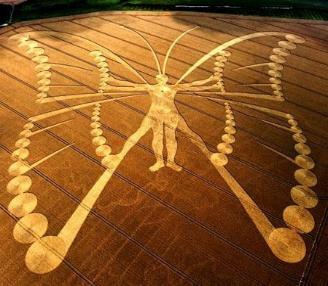 Large Butterfly Man Crop Circle in The Netherlands. circle ever. Well firstly it falls well short of that claim but is as shown in the photograph very attractive. large mailing list of researchers around the world, more E-mails followed claiming that it was made by a team of 60.
that this film would be released to the public Today (Jan 19, 2010) released and seen below. the test of our time do we! The movie released and posted January 19, 2010 below.